Darjeeling Tours Limited is a travel specialist tour operator, offering escorted, group rail tours and holidays to India, holidays to the USA and tours to Australia. We're experts in India rail tours having been operating for over seventeen years. Our group railway tours and great train tours are escorted by specialist tour leaders and designed to take in the key highlights of each destination, while giving you enough free time to explore the sights and sounds independently. We cater to small groups, couples and solo travellers offering cultural tours, special interest tours and vacations by rail, independent and semi-independent holidays as well as specialist tours for groups and clubs including Rotary International. We are specialists in steam railway tours, railroad vacations and rail excursions in particular narrow gauge railway experiences (Indian Hill Railways) and steam railway holidays. We are experts in railway touring and enjoy a very special relationship with the Darjeeling Himalayan Railway Society - the DHRS - and we offer a completely unique steam charter train dining experience on the DHR. We also offer specialist Photo tours, guided photographic vacations, wildlife and landscape photography holidays and travel photography tours. We can assist our clients with their Indian Visa arrangements and make all Indian train bookings on our tours. Darjeeling Tours Limited. Darjeeling Tours is owned and operated by Peter Jordan. 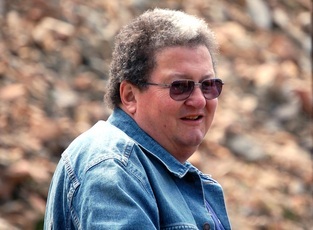 Peter aka “Fuzz” has an extensive knowledge of Indian Railways - and is also a fan of the big trains in Colorado, where he runs run occasional tours. We take pride in the research we do to make our tours and train journeys interesting and appealing. And of course, feedback from our clients is an important part of improving everything we do. Being a small company, we take a personal interest in making sure all of our tours (whether it’s a train tour or a photography holiday...) are organised and planned with meticulous attention to detail. We have local agents in Delhi and West Bengal who we’ve worked with for many years and who provide outstanding service to our clients. We’re also proud to be the official tour operator for the Darjeeling Himalayan Railway Society, www.dhrs.org.uk and we support their charity - Darjeeling Railway Community Support. Giving up his “day job” as an accountant, Peter founded Darjeeling Tours in 2003 after running his first Indian tour for the Darjeeling Himalayan Railway Society in 1999 – and has run most of the tours since then. He’s a real expert on all things Indian (particularly the railways) having travelled there regularly for the last 25 years! Fuzz says "Since I first visited the country in 1979, the colour, the atmosphere and the railways of India have always ensured that a further visit was necessary: India’s like that - there’s always a reason for another visit. The people are so friendly and the sights so remarkable that each day brings something new and exciting. It's a privilege to introduce others to the magic of India, and Darjeeling's Railway in particular." 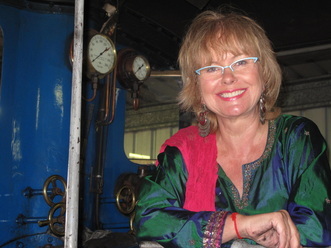 Since her first visit to India in 2009, Karen has developed her knowledge of the country and its railways and she is now Director of Darjeeling Tours. In addition to her skills in ensuring that all our tours have a good balance between railways and all the other interesting possibilities, she is a qualifies holistic therapist, with a flourishing practice based around Doncaster. When she is not working, she enjoys cooking, salsa dancing reading and socialising with her friends. Barbara first became interested in exotic travel at the age of 9 when she became an avid reader of National Geographic magazines. Since then, whenever she has been able, Barbara has travelled to all parts of the globe. Even as babies her four children began to learn the art of adventure travel and soon became seasoned explorers themselves. She first visited India in 1985 and has returned many, many times since to all corners of the country. She is joint owner, along with her husband Adrian, of an 1889 Darjeeling Himalayan steam engine, the only one outside India, that now runs in their Oxfordshire garden. As such, she has a special fondness for North East India. In September 2010 Barbara and Adrian competed in the Peking to Paris Road Rally in their 1930 Ford Model A following the Silk Road. She also works as a volunteer aid worker in Cambodia and spends several weeks a year there.